We Northern Californians have lots of things to brag about. We live in the most beautiful area in the world, close to snow, mountains, breathtaking oceanfronts, and the best weather in the United States. But even more incredible is the many people from the area who have become pioneers in their fields and brought their fields to new heights. Both of our football teams in two separate decades literally changed the face of the game. Pioneers like Dave Packard, Bill Hewlett, Steve Jobs, Steve Wozinak and Bob Metcalf literally created the high-tech industry. Silicon Valley now holds the future of the world in it's hand and the newest and the greatest keeps flowing out on a daily basis. 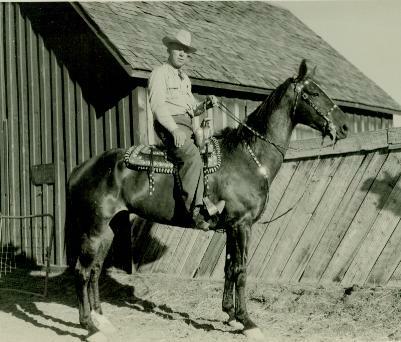 And, we can now brag about another pioneer, Harry Rowell, known in the sport of Rodeo as the "Rodeo King of the West". To most people it may seem small compared to the accomplishments of others, but the fact that it happened in Northern California and not in Texas or Oklahoma, where it would seem more likely, makes it more incredible. Most people see California as full of hippies, high-tech geeks, BMW's, hot tubs, expensive homes, and people caught up in the "me generation" of the 80's. However, we native Northern Californians know that this image is not really how things once were. 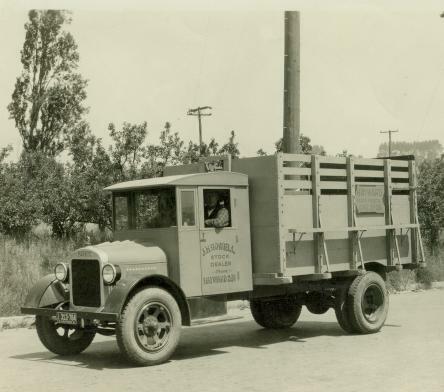 Northern California was mostly ranches and farms as little as 25 years ago. And one of these ranches was called the Rowell Ranch. It's rodeo grounds and the main ranch house still sit on the top of the Dublin Grade between Castro Valley and Pleasanton. This was the "low ranch". It was about 3,000 acres that covered the Pleasanton ridge and spread through the Dublin Canyon. The State of California had to purchase a great deal of land from Harry Rowell in order to put in the 580 Freeway. The other Rowell Ranch was called "Camp Bertha". Located in the Sunol Hills area it was 12 sections of land and was located in San Joaquin, Alameda, and Santa Clara counties. The Ranch House still stands there today echoing memories of another lifestyle and time slowly vanishing, never to be lived again. 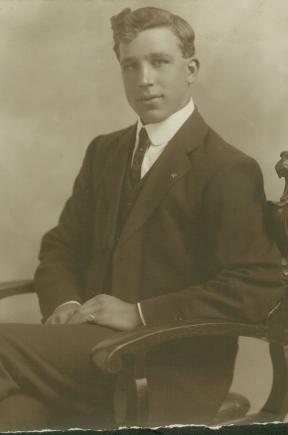 James Henry "Harry" Rowell was born November 11, 1891 in Peterborough, Northamptonshire, England. 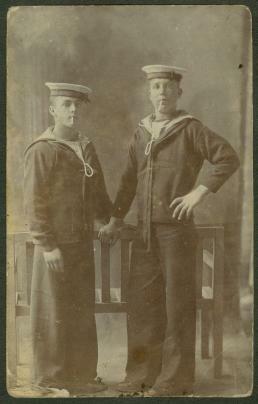 He visited the United States when he was a member of the HMS Royal Navy. Many stories have been told about how he ended up staying in the U.S. , but once he got to California, he never looked back! He picked up odd jobs such as milking dairy cows, boxing and raising chickens. From there he went on to living the American Dream. He owned one of the largest slaughterhouses in the area, operated a successful, world famous saddlery and most notably, for many years, he was the biggest Rodeo Stock Contractor in the West - thus the nickname "The Rodeo King of the West". 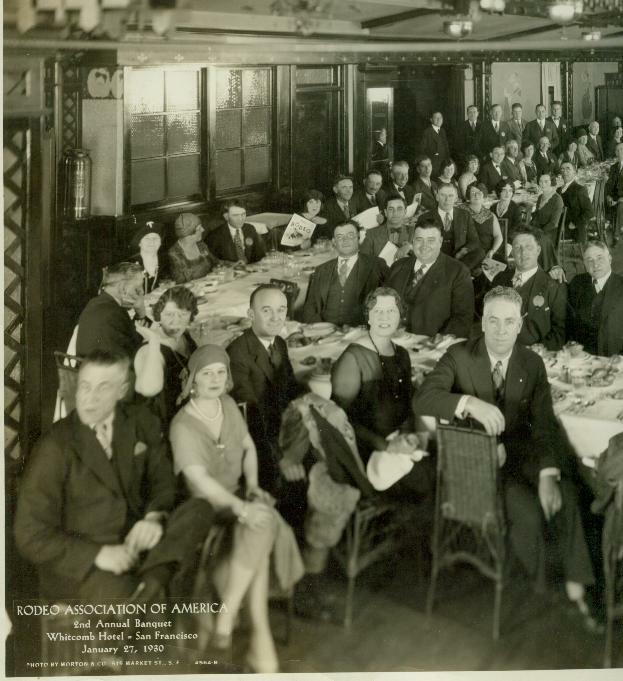 He was the stock provider and Arena Director for the first Grand National Exhibition at the San Francisco Cow Palace in 1941, a role he continued until he left the business in 1952. He was a cattleman and a rancher who raised some of his own stock, which were then showcased at some 25 rodeos which he produced and promoted throughout the West. And he put on an annual rodeo at the Rowell Ranch that helped to set the standards for what rodeo is today. Harry was, by all descriptions, a big, gruff, honest man with a good business sense and a quick mind for figures. He took the rodeo business seriously, striving to give it the respect and recognition he thought it deserved as a true American sport. 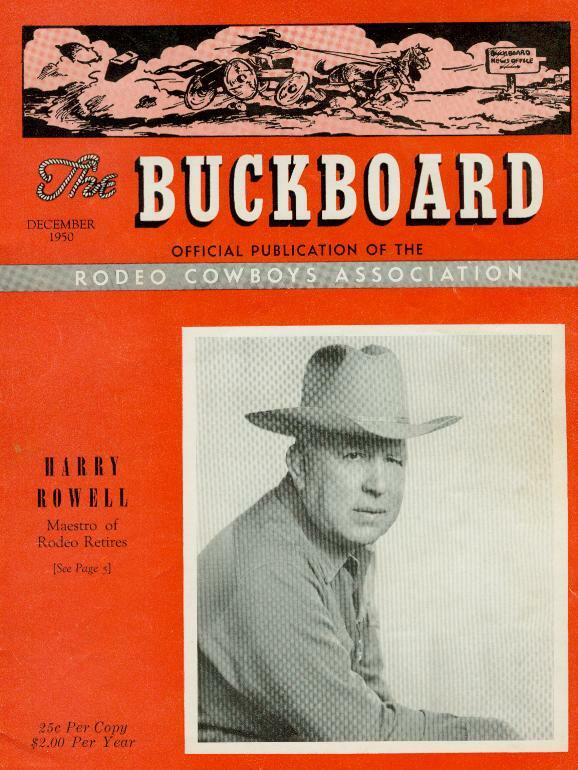 Many people believe rodeo is partly what it is now because of the influence of Harry Rowell. Those who knew Harry say there was never anything he was afraid of (except flying in an airplane) and there was never anything he wouldn't bet on. "If there were two flies on a table, he would bet on which one would fly away first...he'd flip a coin for anything." The story of Harry Rowell and the Rowell Ranch may have begun with a flip of the coin. Mrs. Mavis Neal Seaman, Harry's English niece, says Harry's version of his "decision" to come to California goes something like this: "I was on the ship (the HMS Shearwater) with my mate and we were rotten bored, so we thought we'd flip a coin and see if we should jump ship in Canada. The coin came up 'heads' so we decided to do it. Once we docked, we left the ship, found a clearing and flipped again to see which one of us would stay in Canada, and which one of us would go to California. I got California." Harry Rowell would go on to live the "American Dream" and make his mark on the history of the American West and the Sport of Rodeo. Even though he was born in England, he lived the life of an American Cowboy. 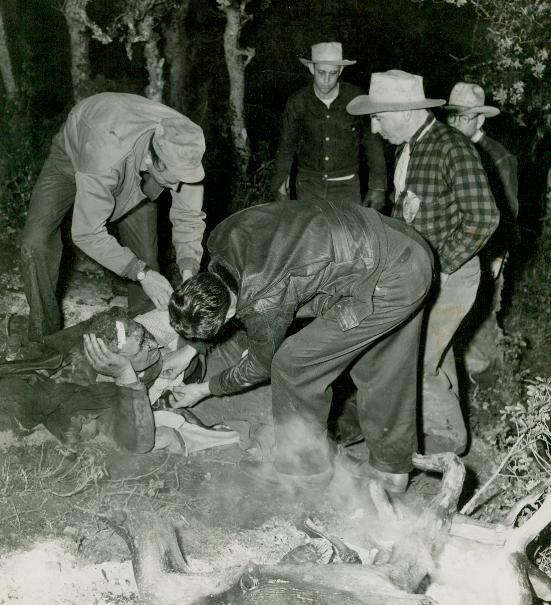 On May 13, 1949, the day his mother died, Harry suffered a devasting accident that would eventually affect his health and ability to continue in the rodeo stock contracting business. He fell 450 feet down from a ridge at his beloved Camp Bertha property which was located in the Sunol Hills. He broke his collarbone, fractured his left arm in two places and had a 5-inch gash on his head. He crawled 75-feet up to an embankment and was eventually able to get help from campions that he had been riding. This accident had a long-term affect on him and he retired from the rodeo business about 20 years later. Harry died at his beloved Camp Bertha (named after Bertha) in August 1969. The funeral was huge with thousands attending, many on horseback, to say goodbye to "The Rodeo King of the West"
Harry at the bottom of Indian Creek Canyon, in the Sunol Hills hours after he had falled 450 feet into the ravine. 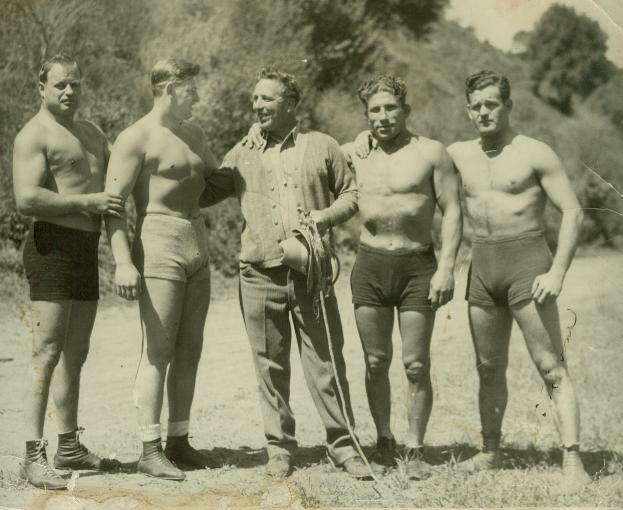 Harry Rowell, middle with his boxing friends. Harry boxed when he first arrived in California to make extra money.